This is a ‘runseeing’ tour of some of Athens’ most historical sites. They are clustered within a fairly small radius, which makes it easy to see a lot within a 4-5 mile run. One can jump along any spot, but a good place to start is Syntagma Square, centrally located and on two metro lines. Start by doing ~1 mile in the National Gardens, passing by the Botanical Museum and the Zappeion, the stately hall built for the 1896 Olympic Games. Exit the Gardens and head across the street to the Panathenaic Stadium, built in 4th century BC but refurbished for the 1896 games. With a 3€ ticket, go into the stadium and do a few laps around the famous dirt track or up and down the marble stairs. Otherwise, head out the back of the stadium and run along Archimidous to the First Athens Cemetery. Then, side street up to Ardittou, which leads to an entrance to the paths that will take you by the Temple of Zeus, a aast temple begun in 6th century B.C., and the Arch of Hardian, a marble gateway with Corinthian columns is named for an ancient Roman emperor. Head down toward the Athens Gate and run along the Dionysiou Areopagitou, the main pedestrian path at the base of the Acropolis. Option: to extend the run ~1.5 miles, run the wooded paths of Filopappou Hill. Sites here include the Socrates Prison and Theatro Doras Veras. 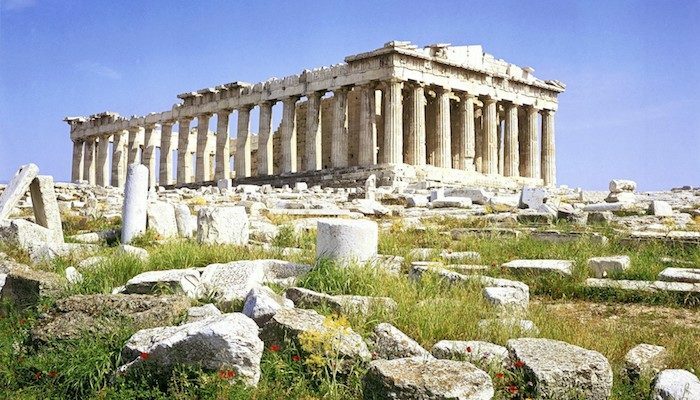 Exit and run the Acropolis paths, with is many sites — Temple of Athena, Acropolis, Parthenon, Erechtion, and more. The tour ends by exiting the Acropolis area, and passing the Choragic Monument of Lysicrates and Glebe Holy Sepulchre, to Flessa, making your way back to the National Gardens. Shorter Run Option: Eliminate the Filopappou Hill, saving ~1 to 1.5 miles. Just continue along Dionysiou Areopagitou, and enter the Acropolis area. Add-On: Pay 3€ and run inside the Panathenaic Stadium. Notes: This area can be crowded — best to go early to beat the crowds and heat. Also a good run at night, as most of the sites are lit. Also, several areas such as the National Gardens, Filopappou Hill, Acropolis area have multiple paths so choose whichever route you like! visit the web page, that’s what this web site is providing. The whole look of your website is wonderful, let alone the content material! Thanks for a marvelous posting! I genuinely enjoyed reading it, you will be a great author.I will remember to bookmark your blog and may come back someday. I want to encourage one to continue your great work, have a nice evening! A powerful share, I simply given this onto a colleague who was doing just a little evaluation on this. And he in fact bought me breakfast because I found it for him.. smile. So let me reword that: Thnx for the deal with! But yeah Thnkx for spending the time to discuss this, I really feel strongly about it and love reading more on this topic. If possible, as you turn out to be expertise, would you thoughts updating your weblog with more particulars? It’s highly useful for me. Big thumb up for this blog submit! Heya excellent website! Does running a blog such as this take a great deal of work? I’ve no understanding of coding however I was hoping to start my own blog in the near future. Anyway, if you have any ideas or techniques for new blog owners please share. I understand this is off subject however I simply had to ask. Thank you! you may have a fantastic blog right here! would you prefer to make some invite posts on my blog? You made some nice points there. I did a search on the issue and found mainly folks will consent with your blog. Thanks for any other fantastic article. Where else may just anyone get that type of information in such a perfect manner of writing? I’ve a presentation subsequent week, and I’m at the search for such information. You have some really great articles and I feel I would be a good asset. I’d absolutely love to write some articles for your blog in exchange for a link back to mine. Please shoot me an e-mail if interested. Kudos! something like this before. So great to discover somebody with some genuine thoughts on this subject matter. look ahead to peer you. At this moment I am going to do my breakfast, once having my breakfast coming yet again to read additional news. single penny and use them for any use. Thankyou so much for the great information water distiller company. 6.3 miles for full tour. Shorter run of ~5 miles without Filopappou Hill.